A great brand cannot be built overnight. Weby Corp takes tremendous pride in its ability to provide full brand management to its partners. Our experience, creativity, and market awareness allow us to provide high-quality services to our clients. We have extensive experience in sales, specific knowledge and a deep understanding of markets, consumers, and target group locations. 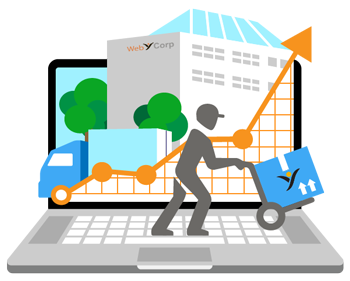 WebyCorp develops strategies aimed at maximizing the perceptions that your customers have about your products and services. For over seven years, we have been helping businesses to streamline their logistic operations, saving time and costs for each of our clients.